What do other Muslims think about the Sudanese woman sentenced to lashings and death for being a Christian?? So is it Islamophobic to point this out? Now in fairness, at least a couple of Muslims expressed a discordant note. 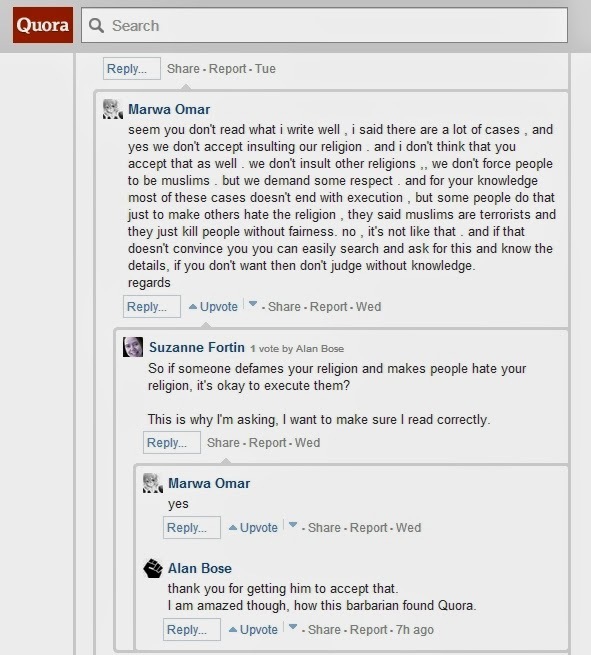 The problem is that enough Muslims support killing apostates that apostates die. Regularly. It's not a fringe movement within Islam.